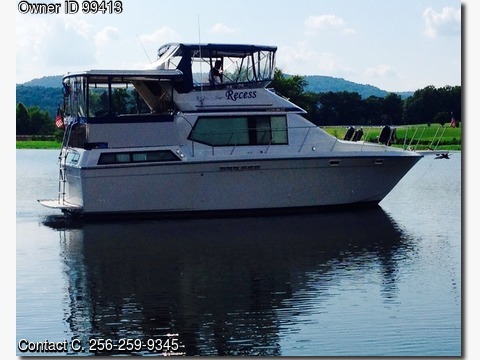 Boat is located in Scottsboro,Alabama.Please ccontact the owner @ 256-259-9345 or cnckimball@yahoo.com...1988 well maintained, two bedrooms, two baths, new carpet, new fridge, wood galley. Recently refinished bottom. 650 hours on twin Chevy gas engines. 371/2 by 14 makes it very roomy below deck.